The New York-based Shen Yun—whose mission is to revive 5,000 years of Chinese civilization through music and dance, according to its website—had booked the Royal Theater in Madrid to perform on Jan. 31 and Feb. 2. But just weeks before the scheduled performances, the theater’s director informed Puro Arte Humano—the nonprofit presenter of Shen Yun in Spain—that the shows had to be canceled due to technical difficulties. The Royal Theater confirmed this reasoning in an emailed statement to The Epoch Times. “It’s necessary to be strong and not accept that [pressure],” said Herman, who served as the Minister for Culture between 2014 and 2017. The Royal Theater director reasoned that another show, Das Rheingold opera, that was performing the day before and after Shen Yun, would have difficulties dismantling their sets to accommodate Shen Yun’s performances, according to Puro Arte Humano in a press release. Theater technical managers did not mention this as an issue at the time the contract with Puro Arte Humano was signed. Additionally, Puro Arte Humano said that the theater did not seem to have the same problem with other shows performing around the Das Rheingold opera show dates, claiming that the theater was only targeting Shen Yun. Sandra Flores Gomez, vice president of Puro Arte Humano, said the theater’s stated reason to cancel the show was not convincing and they suspect the real reason was due to Chinese Communist Party (CCP) pressure—based on previous experiences with the Chinese consulate interfering with Shen Yun’s performance in Barcelona in 2014. In addition, China recently tried to forge deeper ties with the theater. And in 2016, the Madrid theater announced that it signed an agreement with the Chinese regime to participate in a project called, “International League of Theaters of the Silk Road,” to promote “artistic exchange in the field of performing arts.” The league is part of China’s flagship project for increasing geopolitical influence around the world, the One Belt, One Road initiative, according to a report by the state-run China Daily newspaper. Moreover, the Chinese ambassador to Spain is currently a member of the Royal Theater’s “Diplomatic Circle,” a group of diplomats that promote the theater’s international appeal, according to the theater’s website. The Epoch Times recently reported that the theater’s general manager was on a trip to China on Jan. 14 and 15 this year, according to sources. 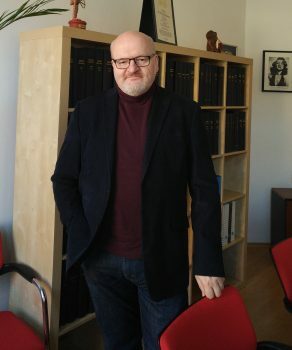 Herman said he has experienced the CCP’s pressure a number of times when he was his country’s cultural minister, including when the Tibetan religious leader the Dalai Lama was invited to the Czech Republic in 2016 and when Shen Yun performed in Prague in 2014. He said the Chinese embassy contacted the chief of the National Theater in Prague in an attempt to stop the Shen Yun performances, but were ultimately unsuccessful. The former minister of culture said he believes the Chinese regime does not want to allow Shen Yun to perform because the show’s mission to bring back China’s divinely-inspired culture does not align with their atheist ideology. He added that the modern pieces in the performance, which depict real-life human rights abuses in China like the persecution of Falun Gong, also do not sit well with the regime. But Herman said Spain is a member state of the European Union like the Czech Republic and should not allow the communist regime to dictate “what’s good and what’s not good” for the European country. “We are free human beings, free persons, members of a democratic state, and we know better than the communists in Beijing of what’s good for us,” he said. Since its inception in 2006, Shen Yun has faced challenges due to Chinese interference around the world. Some of these countries include Holland, Denmark, South Korea, Australia, and the United States. In many instances, the CCP has tried to pressure theaters not to lease their space to the performing arts company or pressure them to cancel their shows. The communist regime has even sought to coerce government officials not to attend the performances or voice public support for the company. The New York-based company was founded by adherents of the spiritual practice Falun Gong, who have been severely persecuted in mainland China. Then-CCP leader Jiang Zemin believed Falun Gong’s immense popularity—up to 100 million adherents, according to estimates cited in Western media outlets—would threaten the Party’s authority. He then initiated a nationwide campaign to harass, arrest, detain, and defame Falun Gong practitioners. Some of these front groups would gather outside theaters around the world where Shen Yun is performing to hold up placards with propaganda slogans and hate speech with an aim to disrupt theatergoers. The most recent example of this was at the Lincoln Center in New York. Herman said it was important to stand behind persecuted groups such as Falun Gong, Christians, and the Tibetans. “We have to stand behind these persecuted people and we have to open in discussions with the Chinese partner even on this platform. We have to tell them that it’s not acceptable to us that you do such cruel, bad things,” he said.